Since my first weekly training notes started 1.5 years into my odyssey, this is a heavily pared down recap of that first eighteen months, to get you up to speed. You'll be able to read about what got all this cycling stuff started and why I love it so much in an upcoming article. I rode my new bike back from the bike shop on 31st July 2017 (my heart, as yet unaccustomed to exercise, hitting 195 bpm in the summer heat despite the leisurely pace!). For the first 8 weeks I followed the British Cycling Sofa to 50km Plan, which very gradually increased in volume and added just a little extra intensity towards the end. 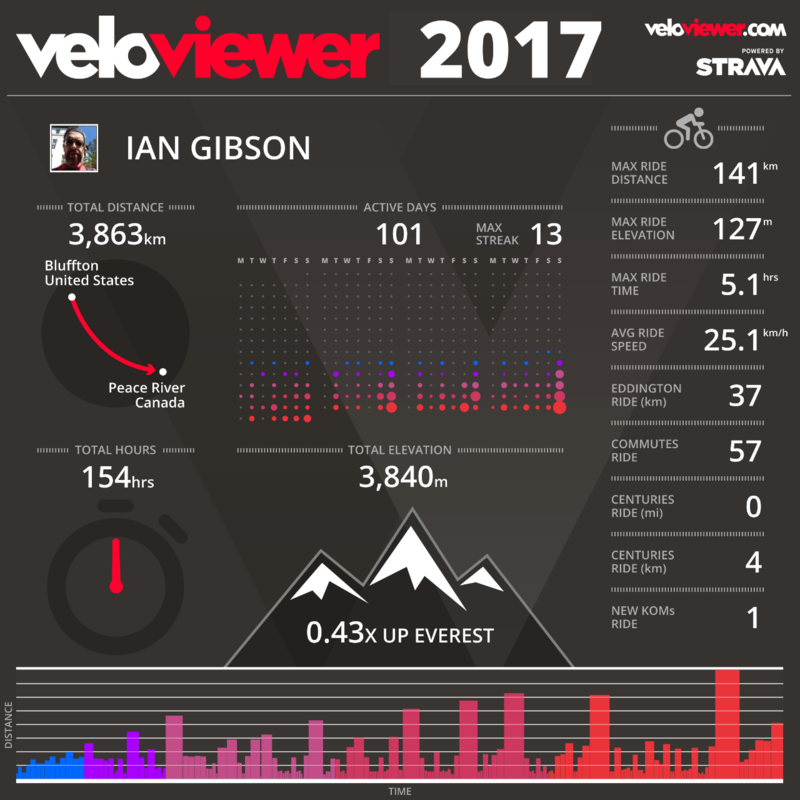 At first, the longer Saturday rides were a bit of a struggle, but looking back through my Strava history it's quite striking how quickly my fitness improved over the first few months. All through this period I was rapidly losing weight, although it took ten months until I was down to something resembling reasonable. I did my first metric century in mid-November (average heart rate 136, average speed 26.5 km/h). At this point I'd moved on to the Improver Plan, although after a few weeks I got bored with the gentle ramp up and switched to some of the more advanced plans. By the end of the year I was regularly doing threshold rides and had tentatively attempted one or two intervals sessions as well. I rounded out 2017 with my first 5-hour ride. The rain began a few minutes in, getting progressively heavier throughout the ride. But perseverance (at least in cycling) has never been a problem for me, and I covered well over 140 km at the 5-hour mark (average heart rate 135, average speed 27.7 km/h). 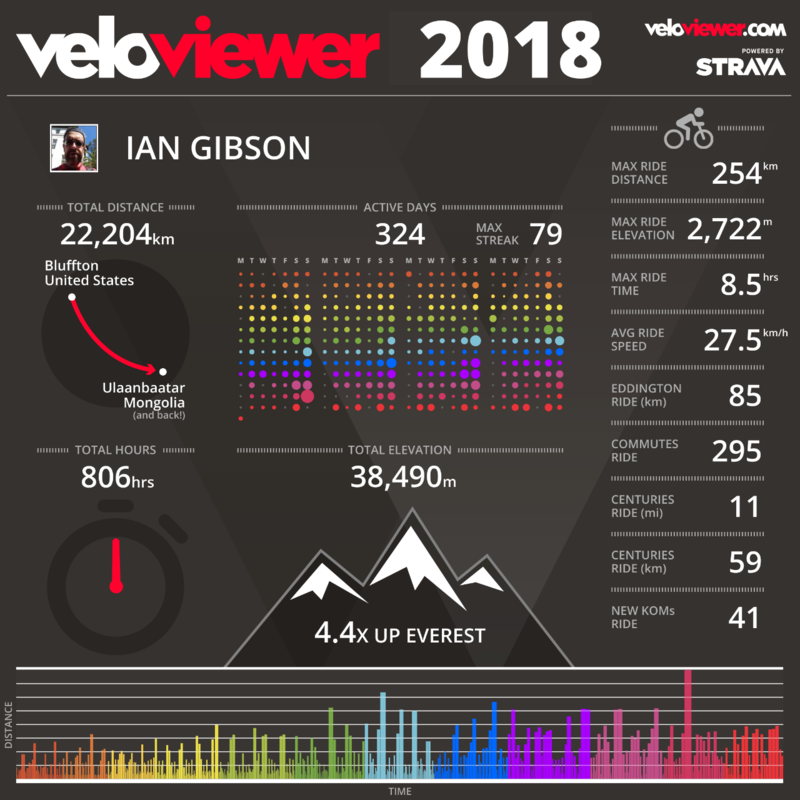 For the early part of 2018 I was averaging about 10 hours per week, doing intervals rides here and there, getting my first Strava KOMs, and participating in a few group rides with a couple of recreational-level clubs. It wasn't until the spring that I really started to step things up. In mid-March I settled into a proper routine of two midweek medium- or high-intensity rides, plus a serious group ride on Saturday. My first Perry Rubber ride was followed by my first Hilton Head ride a couple of weeks later. I was amazed by what a difference riding in a decent paceline makes to your speed, by how exhilarating this is, and by how much fitter and faster than me many of the cyclists on those rides were. But I wanted not just to match them; I wanted to be better than them. Like I said, I'd got the bug. Over the next few months my fitness increased dramatically, KOMs were tumbling all over the place (although admittedly not particularly competitive ones), and my cycling training research was in full swing. In May, taking advantage of everything I'd learned, I abandoned the British Cycling plans, developing my own custom training plan. By this point I was averaging around 17 hours cycling per week. In April I'd entered my first Fondo ride and had a lot of fun, but the next month I set my sights on a much more challenging ride. The Assault on Marion, at 119 km with over 1500 m climbing was by far my toughest ride to date. I did fine (average heart rate 143, average speed 31.7 km/h). I'd added a few reps over the Talmadge bridge in Savannah as training, something which I utilized much more systematically over the summer to prepare for my next big ride, the Gran Fondo Asheville (late July). The nine weeks in between saw me continue to ramp up the volume, now averaging around 500 km per week, and continue to make big fitness gains from my semi-weekly intervals and regular weekend group ride. By June I was no longer satisfied with one group ride per week, so at the weekends I began doing them back-to-back. This pattern of excessive training continued for several months, until finally catching up with me in the autumn. 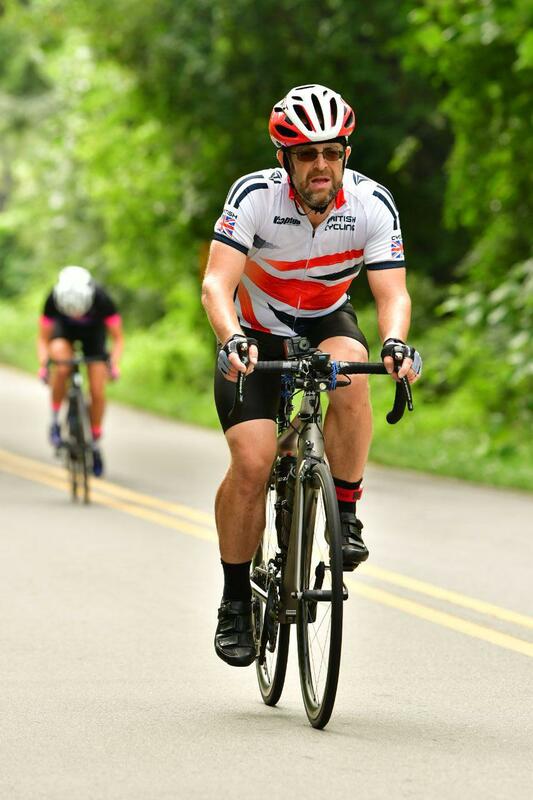 The Gran Fondo Asheville (average heart rate 135, average speed 24.7 km/h) was a birthday present meant to celebrate my one year cycling anniversary. It was a big ride – 159 km and 2,700 m climbing – and in preparation I rode a few centuries and a couple of dozen circuits over the Talmadge bridge. I was in great shape physically, but approached the ride, and especially the big climbs, all wrong. I'm writing about it in a separate article, but the main point to make here is that it was the first time that I was really disappointed in myself after a ride. But I learned a lot from it. Soon after I was in my first proper cycling race, the Rumble at Roebling (average heart rate 166, average speed 35.2 km/h, average temperature 34°C), another big learning experience. The heat was awful, but tactically I was even worse, attempting to catch solo a 4-man breakaway that was 400 m up the road. I blew up, of course. I did the best 90 second effort I'd ever done up to that point, then blew up. Then struggled on with no opportunity to recover, yo-yo'd off the back of the main group a few times, then lost them as well. I spent the rest of the race slogging around in the heat, on my own, thinking about how one bad decision can really ruin your day. Immediately following this was a 14-week period when I averaged 540 km per week, completing 19 metric centuries (5 in one week) plus another 9 imperial ones (4 of them in two weekends). I started winning a few competitive group sprints, picked up a few competitive KOMs, got very fast, threw away a potential win in a criterium by screwing up tactically (again), then got slower and slower. I was flying in September, and crawling by late October. And the funny thing was, the harder I tried not to get slower, the slower I got! Eventually, it sunk in that I was overdoing it. I thought that taking it easy for a few days would fix things, but each time I tried to come back from one of these brief recovery periods I'd have one or two decent rides before fatiguing once more. Eventually, it dawned on me that I really was genuinely overreached and that it would take weeks, rather than days, to fully recover. But before this I did get two of my proudest moments of my cycling career so far, one an epic ride (254 km, average heart rate 134, average speed 29.9 km/h), the other an epic KOM (510 m, average heart rate 186, average speed 56.5 km/h, max speed 63 km/h). I had plenty of time to reflect on such triumphs as the year ended with a large, enforced, taper. But by mid-December I'd recovered enough to switch to my off-season endurance rides, and soon began building up the volume again. I'd averaged 16 hours per week in 2018, got my weight down (almost) to where I wanted it, and had a great base on which to build in 2019. This year, my plan is to increase the volume to 900 hours, and to continue my emphasis on anaerobic power, but with an additional focus on pure sprinting. I can't wait for the summer! In January I covered a lot of long, slow distance, before transitioning into the pre-season plan where I began the gradual introduction of increased intensity. Very recently, I had another bad experience with racing, this time down in Florida in a Cat 5 road race. I realized that riding at high speed in close proximity to 40 other largely very young, very inexperienced and in many cases very reckless riders wasn't my idea of fun. So my next race will be a 100-mile gravel fondo in early March; a very different sort of challenge, and hopefully one I'll take to. Fourth time lucky, right? So, here we are. All caught up. I'll be continuing to publish weekly training updates, which in addition to the mundane details of intervals, sprints and segments will hopefully also contain the odd nugget of insight.